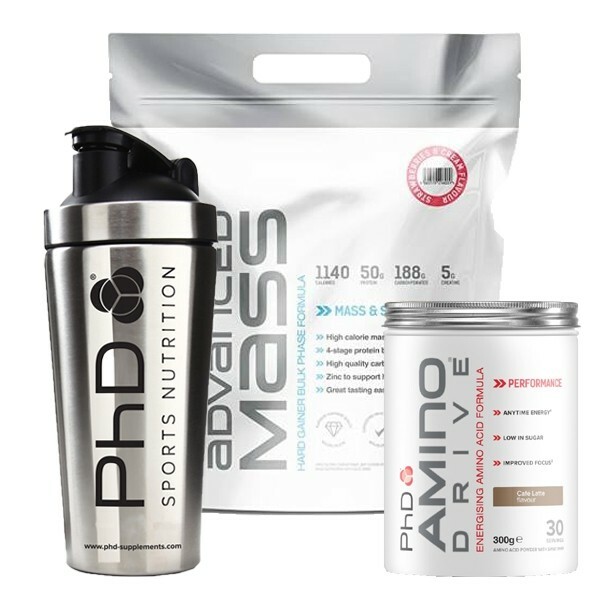 PhD Advanced Mass is the most extreme mass gaining formula ever, designed for serious hard gainers or any athlete undertaking the bulk phase of their nutritional plan. 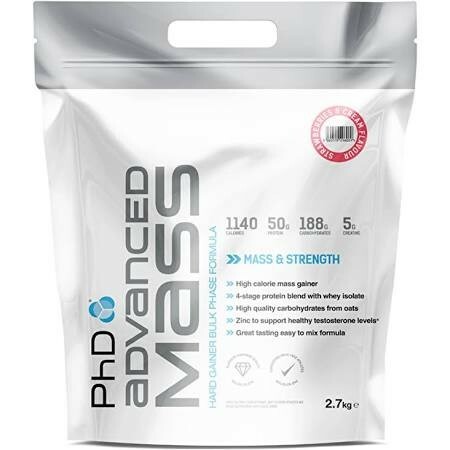 The formula provides the ideal ratio of macronutrients, and PhD Advanced Mass also contains specific micronutrients to guarantee a superior mass gaining formula. With magnesium to help reduce tiredness and fatigue and support protein synthesis, as well as zinc to maintain healthy testosterone levels. PhD Advanced Mass is the ultimate mass gaining shake. It tastes delicious, mixes extremely well in a PhD Steel Shaker cup and provides everything you need to take your gains to the next level. Can be used 90 minutes before training, post training or at any time during the day to increase calorie intake. Add 2 level scoops of powder to 500-600 ml of ice cold water and shake or blend for 10 seconds. Add 1 further scoop of powder and shake or blend again for 10 seconds. For a creamier more calorie rich shake, try adding whole milk instead of water. For a simple way to maintain calorie intake on the go, mix a scoop of Advanced Mass with oats and mashed banana, then shape into balls and refrigerate. Contains oats, milk and egg derived ingredients. May also contain wheat, nuts and peanuts.